How to generate a new download link? 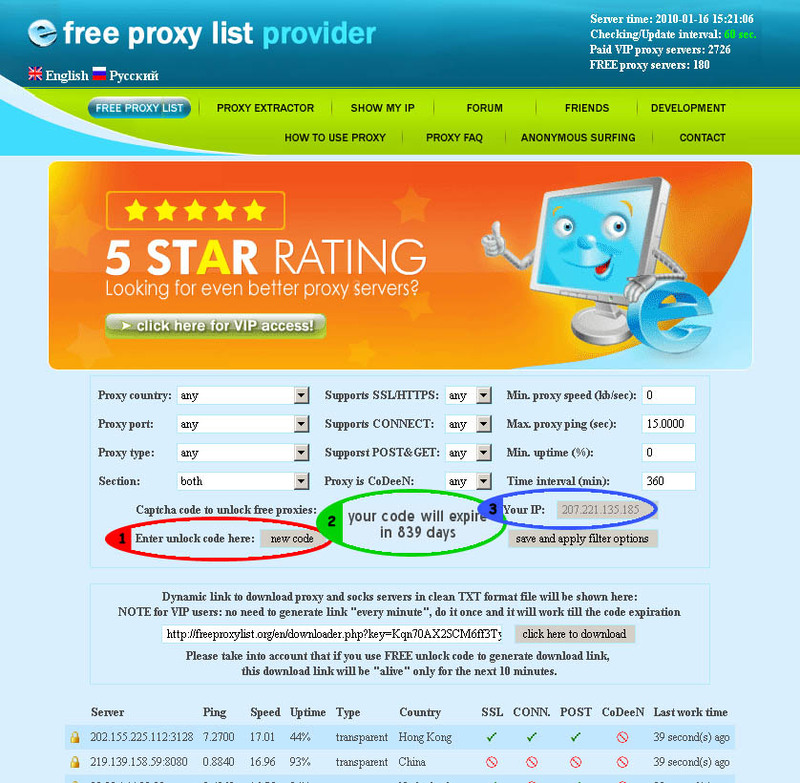 Forum About Proxy > Forum (only english) > FreeProxyList.org web site > How to generate a new download link? Question: How to generate a new download link? Case 1: if you see a new code button (section 1, red circle) then click on it and wait until page will be reloaded. 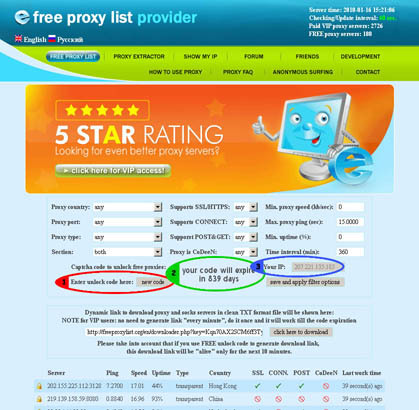 After please follow all steps for the first time link generation. Case 2: if you can see Captcha image (section 2, green circle) instead of time left till password expiration and there is a field on the right side of the label Enter unlock code here (section 1, red circle) then please follow all steps for the first time link generation.